(LOCATION: Jacksonville FL) The Bayliner 2858 Ciera Command Bridge features traditional cruiser style and family accommodations. She has an open flybridge for wind-in-your-face cruising, a lower enclosed helm, open cockpit with ample room and a mid-cabin interior with double berth, v-berth, and convertible dinette. 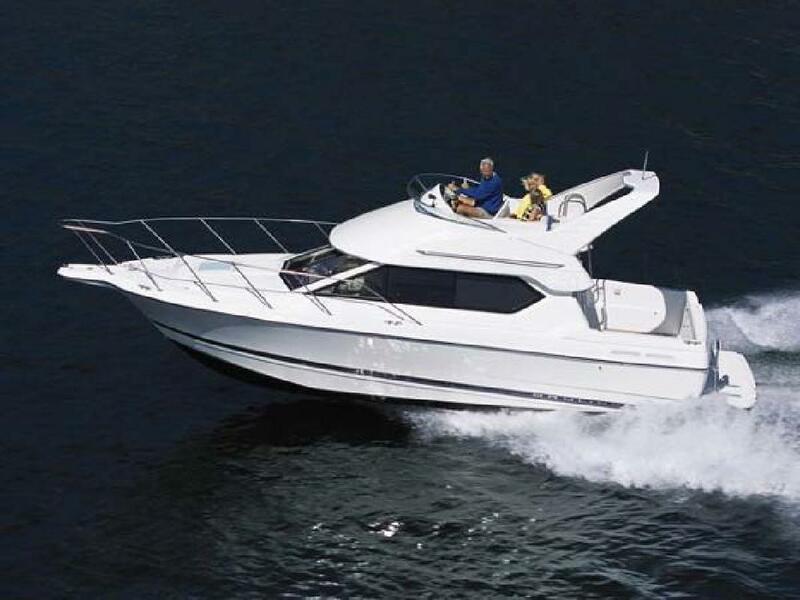 Whether you are planning a day on water or a weekend getaway this family cruiser can easily accommodate. Inside we find an air-conditioned salon with port side convertible dinette, galley starboard, lower helm station, forward v-berth, and mid-cabin double berth. There is a full galley with solid surface counter, stainless steel sink, two-burner alcohol / electric stove, microwave oven, and a refrigerator with ice maker. The enclosed head is aft to starboard and includes vanity with sink and shower. This 28' cruiser is powered by a MerCruiser 310-hp engine with Bravo outdrive that provides dependable performance. You will find her small enough for easy handling and large enough to cruise in comfort. She is well-equipped, carefully maintained, and is ready to cruise. Call now for more information and to schedule a showing of this affordable family flybridge cruiser. Seller says BRING OFFERS! Draft: 3 ft. 2 in.